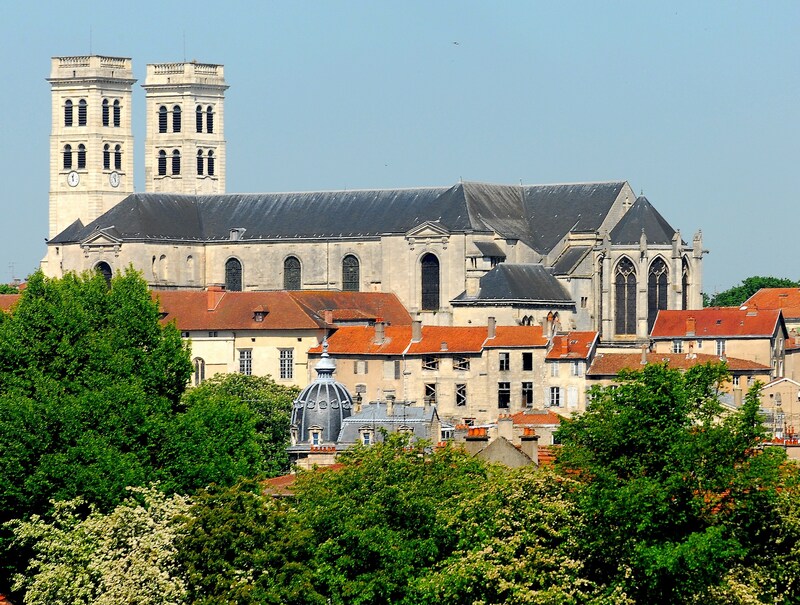 Verdun's cathedral was the first religious building to be dedicated to the Virgin Mary and is one of the oldest churches in Europe. Wars and the conflicts arising from the geographical situation of the Bishopric of Verdun have left their marks on the cathedral but it has become a symbol of a town that constantly rises from its ashes. Because of its history, it displays every architectural style, from Rhenish Romanesque to Baroque. It has 10th-century pillars, a 12th-century crypt and chapels dating from the 14th to 16th centuries and 18th-century. A fire destroyed the cathedral roof on 2 April 1755 and the building then had to undergo restoration. This was when Bishop de Nicolai and Canon Chaligny de Plaine, who had extensive knowledge of art history, brought the Baroque style into the cathedral's interior decoration. The baldaquin at the junction of the transept and the east side of the chancel dates from this period. The cathedral's stonework bears traces of First World War artillery shells. Make sure you visit the crypt, a gem of Romanesque architecture and a memorial to the soldiers who fought at Verdun in 1916 (west pillars in the crypt). Guided tours available.